“The Dalai Lama – oft-considered the embodiment of peace and tolerance – has suggested Europe should only be for Europeans, telling refugees to go home and rebuild their own countries,” Newsweek reported yesterday. The Tibetan spiritual leader – who is a past winner of the Nobel Peace Prize – was speaking in Malmo, Sweden. Last weekend, the country held its general election where anti-immigration party the Sweden Democrats took a great stride to finish in third place. According to a preliminary count, the Social Democrats topped Sunday’s Swedish polls. The centrist party took a severe beating however, losing 12 seats (from 113 to 101) and recording its worst ever election showing in a century. In second place on the opposite side of the political aisle is the leftist Moderates party. It too took a beating, losing 14 seats with a steep drop from 84 to 70. Third-placed nationalist party Sweden Democrats gained 13 seats, up from 49 to 62. Dalai Lama says 'Europe belongs to Europeans'. Sweden now has a hung parliament as the two blocs – led respectively by incumbent Social Democrats and the opposing Moderates – each do not have enough popular vote to form a new government alone. Swedish right wingers that make up the country’s ‘third force’ consider Social Democrats leader Stefan Lofven (caretaker prime minister) to be too soft on Muslim immigration. Lofven had even signed off on election campaign material in Arabic to cater for the country’s ethnic minorities, some of whom still do not speak Swedish. Widespread support for the anti-immigration patriotic movement across Europe has created a stalemate among the continent’s traditional parties in their bid to establish the government. For the record, Chancellor Angela Merkel took almost six months to form the German government due to her lack of a strong mandate while British Prime Minister Theresa May is leading a minority government and facing a revolt from her own Tory MPs. 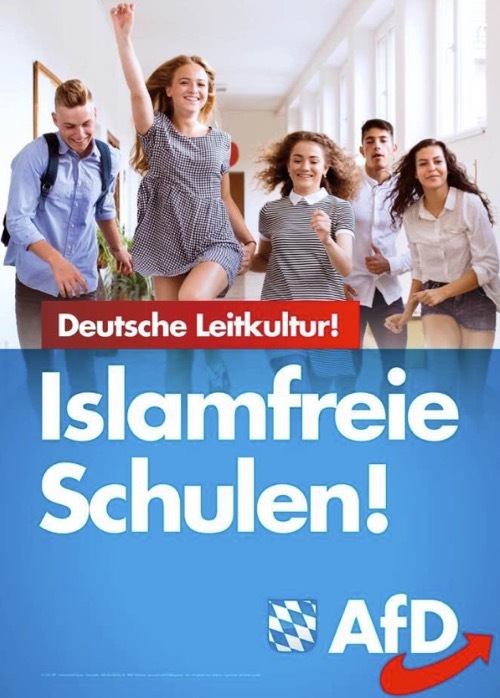 Anti-Muslim immigration party AfD is the main opposition in Germany’s Bundestag (parliament). Anti-immigration sentiment in Europe relates to objecting the en masse arrival of dark skinned foreigners. Nativist Germans, Swedes, Poles, Hungarians and other white Europeans reject migrant newcomers who are Muslim and Middle Eastern / African. The Dalai Lama agrees that Europe belongs to Europeans. Meanwhile in South Africa, militant nationalists have declared that every inch of soil in Africa can belong only to blacks. There is no place for the non-indigenous whites. Economic Freedom Fighters (EFF) – the third biggest party in the South African parliament – is spearheading a government move to expropriate farm land without paying any compensation to its white owners. The Boers – a term today referring to farmers of Dutch, German and Huguenot (French) descent – arrived in 1652 to found South Africa’s earliest white colony. This white farming community, also known as Afrikaners, are nonetheless viewed as interlopers by the country’s majority blacks. MP Julius Malema, who heads the socialist EFF, is insistent that “whites are not Africans” (video above) despite their having lived in South Africa for so many generations. The concept of national homeland means Germany for Germans, Sweden for Swedes, Poland for Poles, Japan for Japanese, China for Chinese, etc. If Malaysia is for Malaysians, does the DAP – through its Bangsa Malaysia ballyhoo – get to determine what makes a Malaysian? Entry filed under: Anak Malaysia. Tags: Malaysian First. dap is for all msian, we cant tell the same wrt parties like umno, mca, mic, pribumi, pas. malaysian is one that live a msian life, who learn n can speak our own respective languages. english is not our language, if we shd follow what tis fake monk dalailama said, msia is not for those that only speak write english. DAP is for all Malaysians? The Dalai Lama was speaking about Europeans. Since he was quoted while in Sweden and Swedish context, applying your logic (line of reasoning), the new immigrants implied would be the black Africans and Middle Easterners (refugees or economic migrants) still unable to speak Swedish. Extended to Malaysian context, the affected outsiders are those refusing to learn our national language. Wrt to your own comment, how would you describe “a Malaysian life”, i.e. provide some characteristics. Also you say “speak our own respective languages” (plural), so I’ll assume you to mean Chinese, Tamil/Telegu/Malayalee, the languages spoken in Sabah & Sarawak and of course BM. What about Dapsters who can’t speak BM? Quote: If Malaysia is for Malaysians, does the DAP – through its Bangsa Malaysia ballyhoo – get to determine what makes a Malaysian? The simple answer is NO. Not currently, at least-. The simple fact DAP winning the most seats but has to be contended to play second fiddle to a party with the least winning candidates confirmed the reality on the ground. As ‘so called Malaysian’ dap has effectively eliminated racist mca, there it is very very surprising dap is still chauvinistically fighting for narrow racist chinese dominated agenda like SJKC, UEC, 999-year lease hold hold for chinese dominated kampung baru (the universe will not survive for another centuries) and the likes.